Sarcomas of the Oral and Maxillofacial Region (SOMR) are rare lesions which pose diagnostic and management challenges. We analyzed 26 cases of SOMR with respect to clinical presentation, histopathological subtype, treatment modalities, recurrence, and treatment outcome. In our series, Osteosarcoma (OS) was the most common type of sarcoma (7 cases), followed by 5 cases of Ewing’s Sarcoma (ES), 3 cases each of Chondrosarcoma (CS) and Leiomyosarcoma (LMS), 2 cases each of Malignant Peripheral Nerve Sheath Tumor (MPNST), Pleomorphic Undifferentiated Sarcoma (PUS), Myeloid Sarcoma (MS)and Rhabdomyosarcoma (RMS). Surgery was the primary treatment modality in most cases and was combined with adjuvant chemo/ radiotherapy in few cases. 24 of the 26 cases were followed up for an average period of 40.67 months. Adverse disease outcomes like recurrence were seen in 2 cases whereas death due to the disease was reported in 7 cases. In view of the diagnostic challenges faced in SOMRs, it appears practical to stress on the underlying genetic aspects of the disease process rather than histological subtyping to improve disease outcome. As per the institutional guidelines, this study was exempted from ethical clearance. 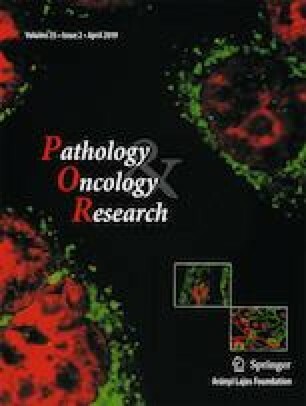 After analysis of 26 cases of SOMRs, it is concluded that SOMRs are a diverse group of tumors requiring multimodal treatment and have distinct prognostic implications. From a therapeutic stand point, it is more prudent to stress on the genetic alterations underlying the disease process rather than accurate histological classification to improve prognosis.